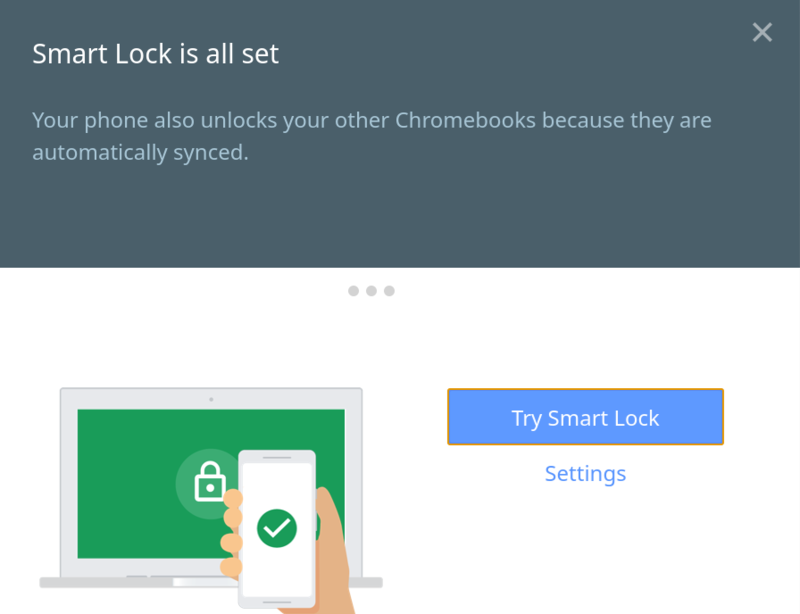 Smart Lock allows for your Chromebook to be unlocked without a passcode while it’s linked to your Android phone. When the two devices are paired, you simply click your account photo or hit the enter key to log in. 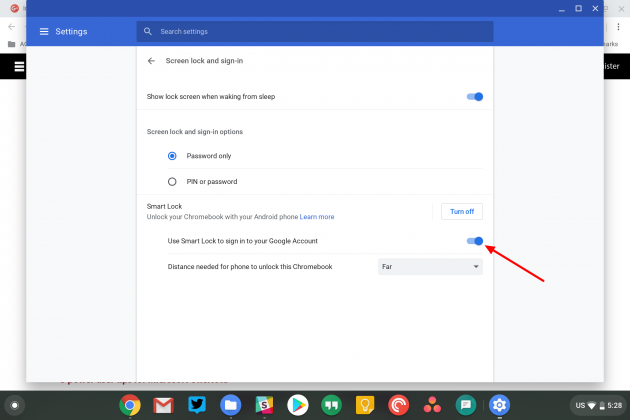 Turning on Smart Lock takes a few steps on both your phone and Chrome device to work properly. But don’t worry, we are going to walk you through it now. Open up the Settings app in Chrome OS. 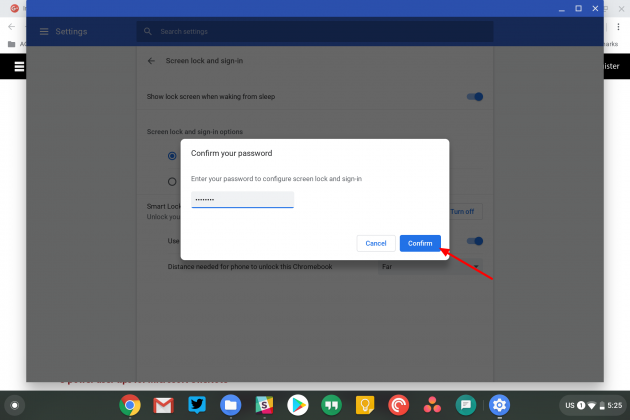 Enter your current password to allow this option to be edited. 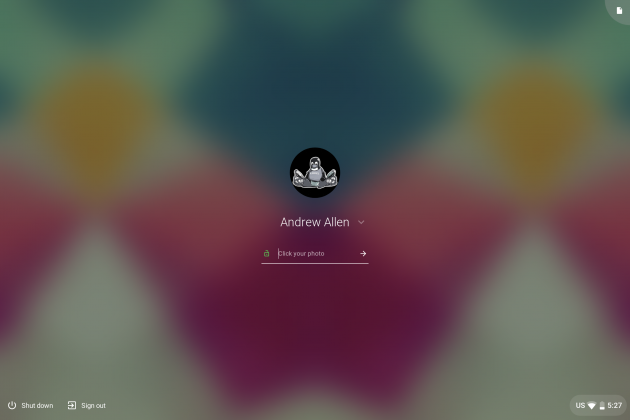 You’ll be dropped into the lock screen and have to enter your current password again. 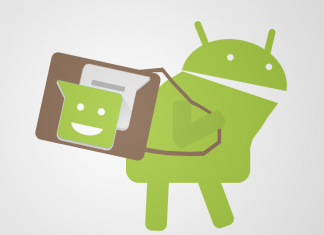 Now you’ll need to find and pair your Android phone. Click “Use this phone” when prompted. You can now “Try Smart Lock” and see if it works. 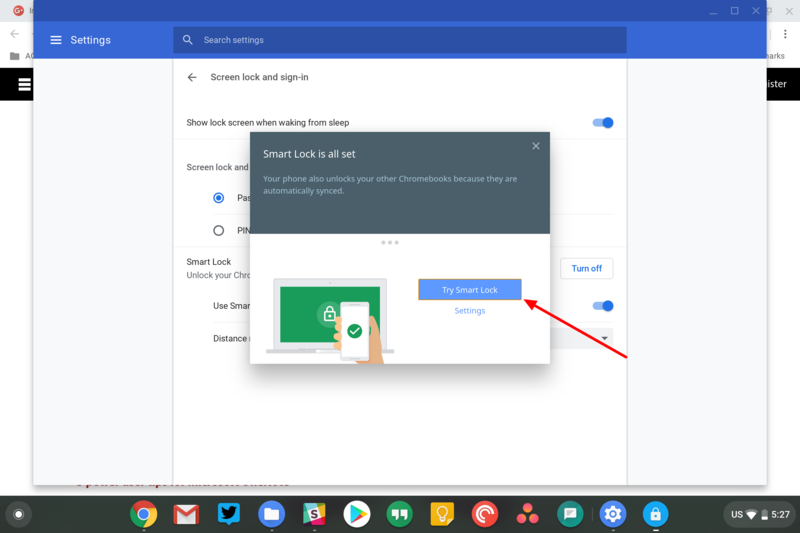 Once you see the green unlocked icon next to your password bar, Smart Lock should allow for clicking your account photo or pressing enter to sign into Chrome OS. Once you see the green unlocked icon next to your password bar, Smart Lock should allow for clicking your account photo or pressing enter to sign into Chrome OS. From then on, you should have a slightly easier way to log into your Chromebook as long as your smartphone is nearby. Speaking of proximity, you may have to play around with the “Distance needed for the phone to unlock this Chromebook” drop-down in settings. 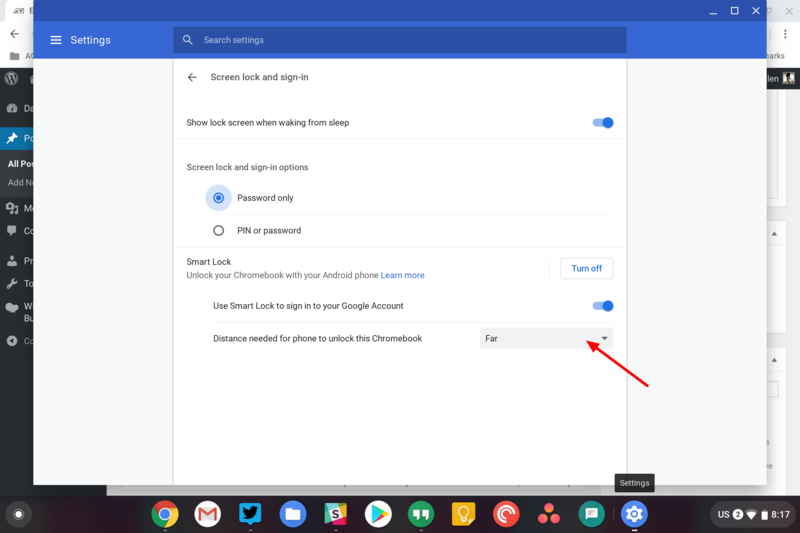 I’ve found that in order for this to consistently work I needed it to be on the “far” option.